A few weeks ago I received a notification from O2 that if I opened my Priority Moments app I'd find a £5 discount code to spend in store at The Body Shop. There didn't appear to be a minimum spend amount so as soon as I could I headed straight into town to spend my voucher. In December I blogged about The Body Shop's coconut eau de toilette, which I really like, so I knew I wanted to pick up another one in a different scent as I'd only have to pay £3.50 for it. As well as coconut, mango is also one of my favourite scents and as soon as I sprayed this on the back of my hand I just knew this was the one I wanted to get. When you first spray this it smells absolutely amazing and makes your mouth water. So I grabbed one and headed to the till with my phone ready to present my voucher code. When I got home I was a little disappointed to discover that I couldn't smell this on the back of my hand anymore, but I had only given it a very quick spray just so I could test it out before purchasing. 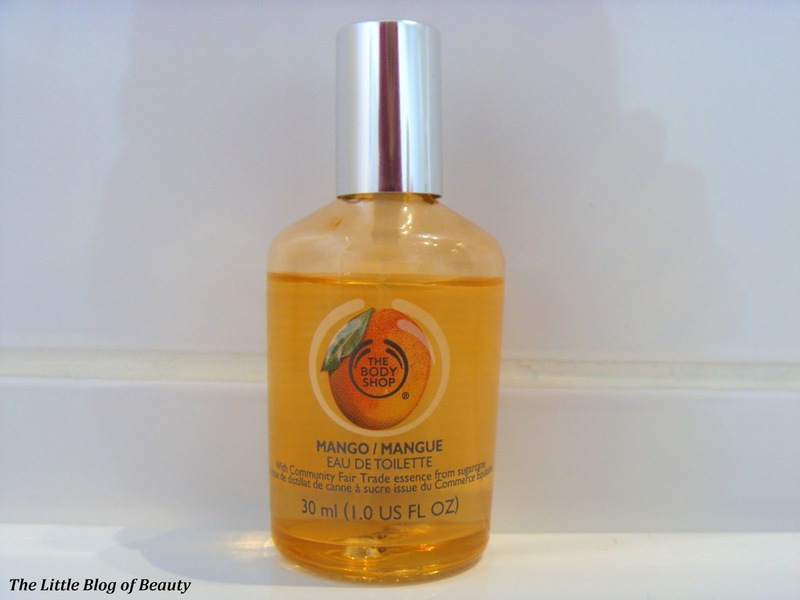 I sprayed it again on the pulse points on my neck and wrists and swooned again at the amazing mango smell. As amazing as this smells when you first apply it, I've found that the smell disappears very quickly. I know that you get used to the perfume you're wearing quite soon after you've sprayed it but I'm talking about actually sniffing your wrist and not being able to smell it anymore. I'm aware that perfumes can smell slightly different on different people and also that they may last longer on some people than others, but for some reason this one disappears from my skin very quickly after I've applied it. Although several perfumes I have only last a few hours on me I know my skin can hold onto a scent for much longer as Chanel No 5 will last on me for at least 8 hours. So unfortunately there appears to be little point in me wearing this when it will have disappeared within a matter of minutes. 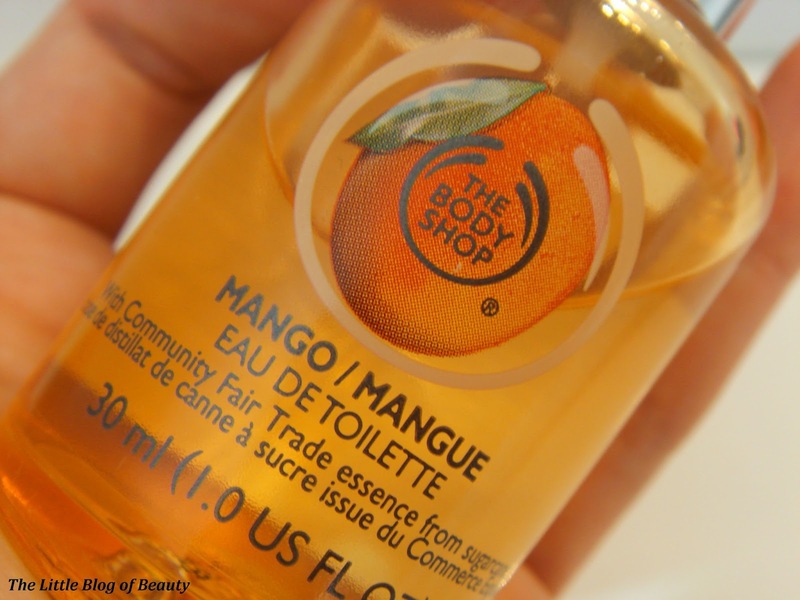 Have you tried any of The Body Shop's eau de toilettes? That's such a good deal, I really should check my priority moments app more often, I always forget about it! But it's a shame the scent didn't last. I'm glad I've read this because I've been tempted to buy one of these little perfumes for a while. I really like the body spritz in coconut from the Body Shop.